• Discover when to show, and when it’s okay to tell. • Identify and banish info dumps. 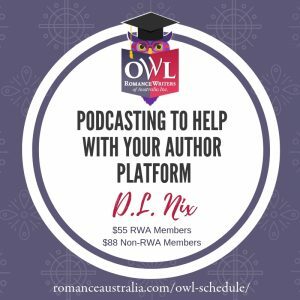 • Practice infusing the story with relevant details. • Explore how action can tell the story and engage the reader emotionally. • Explore how much onscreen time to give each character/event. • Study a variety of techniques to improve showing. Lesson material will be delivered on Moodle in the form of video lessons supported by worksheets and activities. Lessons will be released weekly on Fridays, with assignments due by the end of the week. Feedback will be provided on the weekly assignments via a marked-up Word document. Additional support and information will be given as part of forum discussions. Feedback via email is an option where participants prefer. A one-hour live chat will be held in Moodle on the Friday evening in week three. It is recommended that participants can expect to commit 5-7 hours, depending on the time taken to do assignments. Having an existing story to work on will be beneficial to help participants apply the learnings to their own work. This workshop is suited to aspiring writers, assuming basic English skills. Sandy is an experienced course presenter with a decade of experience in the industry, who has presented online and face-to-face workshops across the globe for a variety of organisations, including Eyre Writers’ Week, The Clare Readers and Writer’s Festival, RWAmerica, Savvy Authors and SA Writers’ Centre. She prides herself on providing a nurturing learning environment that enables participants to truly absorb the material. 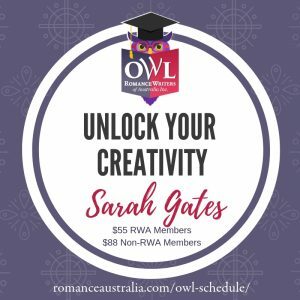 She is presenting RWA OWL, Show Don’t Tell is Like a Layer Cake, in January 2019. Registrations now open. $55 for members and $88 for non-members. Bookings can be made here.